As the snow packs in on the mountains surrounding Estes Park, recreationalists in Rocky Mountain National Park begin trading in their hiking boots for snowshoes and skis. Although this winter equipment gives people an advantage when traveling over snow, you can never be too prepared in the winter time. Among the additional risks during Colorado's cold weather months are avalanche and hypothermia. To further equip yourself for the winter with an awareness of snow safety, join the Rocky Mountain Conservancy and the Colorado Mountain School in Avalanche Awareness and Outdoor Safety in Wintertime on January 12 and February 9 for an afternoon of establishing an understanding of and practicing identifying avalanche risk. 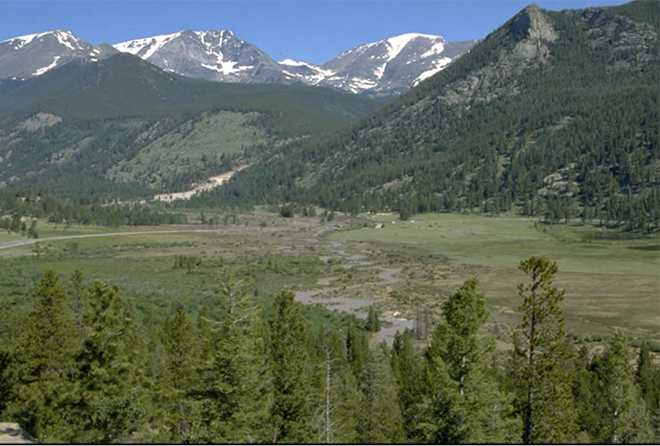 The course will be an overview of the avalanche phenomenon with a goal of participants being able to identify how, when, where and why avalanches are likely to occur in Rocky Mountain National Park. After a study of avalanches in the classroom, students will travel to Hidden Valley for a two-hour hike to study the snowpack and terrain aspects of avalanches and review the basics of avalanche rescue techniques. For more information on this class and the Conservancy's other offerings, contact the Rocky Mountain Conservancy - Field Institute at 970-586-3262 or online at www.rmconservancy.org.